To follow along with this article, you will need Node.js and NPM installed in your machine. If you don't have these tools, please, check this resource before continuing. On most installations, Node.js ships with NPM. Besides that, you will have to have some basic knowledge of React. You don't need years of experience with it to follow the article along with, but you do have to understand its basic principles (components, JSX, etc.). 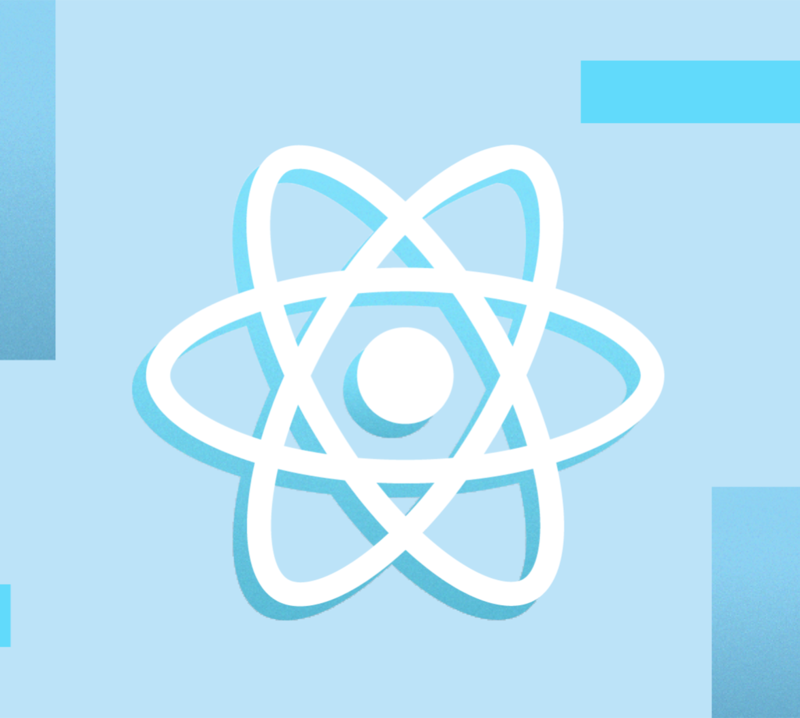 If you are completely new to React, please, read this article first. After reading it, you will be able to read this one without struggling. All software developers have their own preferences when it comes to code style. Some prefer using semicolons, and some prefer leaving them out. Some prefer indenting code with tabs, and some prefer using two spaces. However, what is really important is that they don't mix these different styles on a single code base. The first property, husky, will make lint-staged run on Git's pre-commit phase. The second property, lint-staged, indicates what exactly NPM must run on this phase. 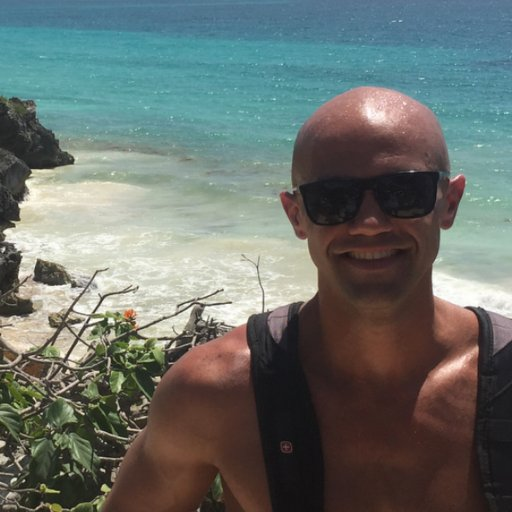 The third property, prettier, changes the default configuration of Prettier to use singleQuote instead of double quotes. 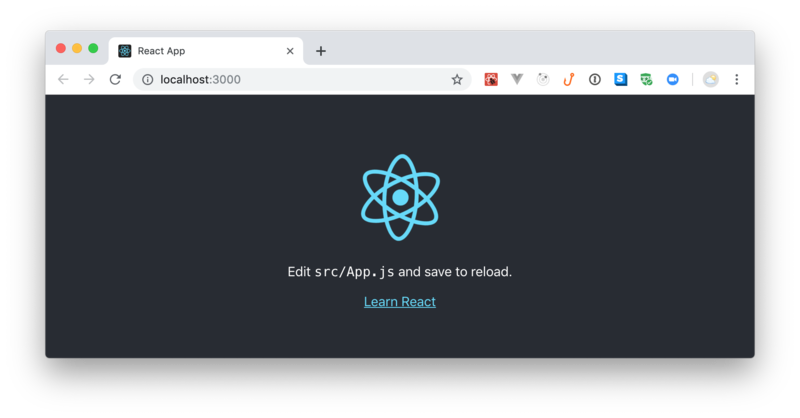 After configuring Prettier into your project, the next thing you can do is to install and configure React Bootstrap. This library is a specialization of the Bootstrap toolkit. As Bootstrap depends on jQuery to run some components, the React community decided that it would be a good idea to remove this dependency and rebuild Bootstrap to integrate with React tightly. That's how React Bootstrap was born. 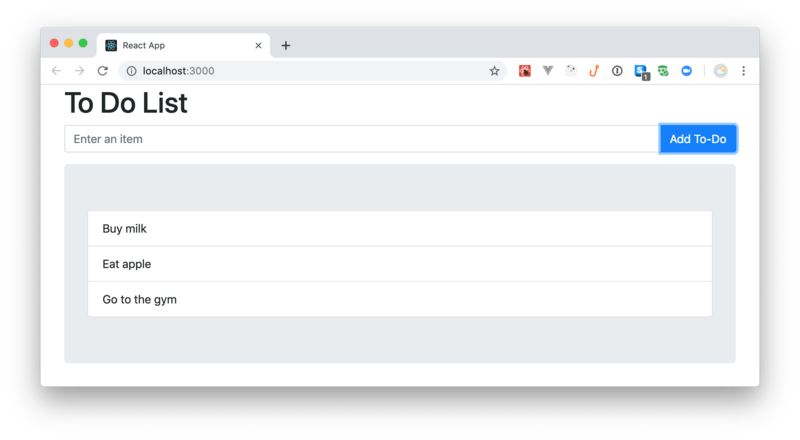 If everything works as expected, you will be able to see a page with a header (h1) and a Button that use Bootstrap's CSS rules. Next, you will install and integrate Redux in your React app. Redux, for those who don't know, is the most popular state management library among React developers. Redux itself is not tied to React but, most of the time, developers use them together. If you don't know how Redux works, don't worry, you can still follow along with this article. In the end, you can read this practical tutorial on Redux to learn more about this library. Here you are defining that, for now, your app will handle a single type of action: ADD_TODO. Actions of this type, as you can see, will carry a toDoItem object with two properties: an id and a title. LOAD_TODO_LIST: This action type will make your React app load the to-do list from an external server. RENDER_TODO_LIST: This action type will make your React app render the to-do list it just loaded. Besides that, you are defining a function called loadToDoList to create an action with the LOAD_TODO_LIST type. In a few moments, you will make your React app use this function to dispatch an action of this type. Here, you are adding a new case statement to the switch command that will handle RENDER_TODO_LIST actions. When your Redux receives an action with this type, it will read the toDoList payload and update the state of the app with the new list. loadToDoList: A saga that listens to LOAD_TODO_LIST actions to trigger the fetchToDoList saga. When the fetchToDoList saga finishes loading the data from the API, it dispatches (through the put function) a RENDER_TODO_LIST action with the new list of to-do items. Then, the new version of your reducer captures this action and updates the state of the app accordingly. Here, you are creating a sagaMiddleware to add to your app's store and you are making your app use the loadToDoList action creator to dispatch an action. Your architecture is almost complete now. You have installed and configured some useful libraries that help you handle navigation, state, and the user interface. However, you haven't done anything related to facilitating the enhancement of this user interface. For example, what if you wanted to change the style of your buttons? Or if you want to add some margin between your Navigation component and the list of to-do items? You could, of course, write a simple CSS file and import it in your React app. But this is old school. That's it! 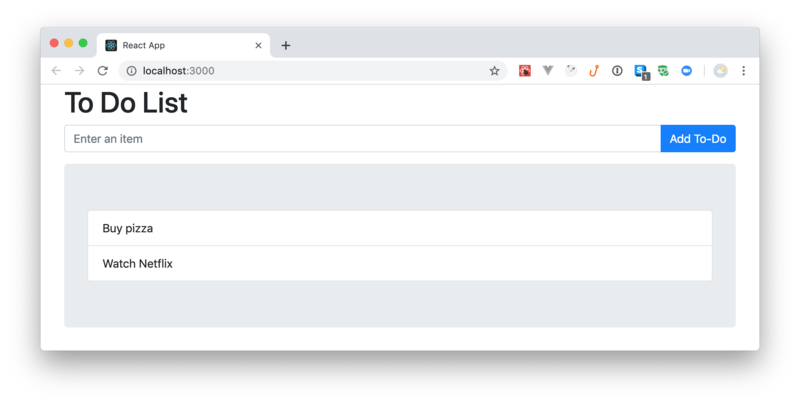 With that in place, you can rerun your app (npm start), and check the new layout in your browser. Lastly, you will have to think about securing your application. For that, you will use Auth0. You can't go too far without a good identity management system backing you up. You could, of course, build your own solution but, besides having to implement everything from the ground up (user registration, email confirmation, password reset, etc. ), you will never have a solution that is as trustworthy as Auth0. Note: In the code above, you will have to replace <YOUR_AUTH0_DOMAIN> and <YOUR_AUTH0_CLIENT_ID> (they both appear twice in the code) with the Domain and Client ID properties of your new Auth0 Application. You can get these properties from the page that you left open. As you can see, when your app renders this component, it will check whether there is a user object available in the store or not (the component connects to Redux). If there is no user, it will use the handleAuthenticationCallback action creator to dispatch the HANDLE_AUTHENTICATION_CALLBACK action. If there is a user, it will redirect them to your home page. Here you are defining two new sagas. The first one, parseHash, will call and wait for the result of the handleAuthentication function. Then it will put a USER_PROFILE_LOADED action to let Redux know about the user who just signed in. The second one, handleAuthenticationCallback, is there to "listen" to HANDLE_AUTHENTICATION_CALLBACK actions so it can trigger the first saga. Lastly, you are updating the rootSaga to make the handleAuthenticationCallback saga run when the app starts. This new version is adding a case statement to handle USER_PROFILE_LOADED actions. That is, when your saga informs Redux that the user logged in, the code in this statement will add the user object to your app's state.